"The precariat: The dangerous class in rentier capitalism", lecture to conference on Precariousness in European Post-Growth Societies: Labour Market Reform, Precarious Struggles and Transnational Solidarity, organised by the Department of Work, Industrial and Economic Sociology, Friedrich Schiller University Jena (Germany), 8 December 2016. "Socially sustainable cities and the rise of the precariat", keynote speech and panel participation at conference on Sustainable City Development, organised by the city of Malmö (Sweden), 30 November-2 December 2016. "Addressing the needs of children and young people in Scotland: The potential of a basic income", 14th annual Kilbrandon Lecture, University of Strathclyde, Glasgow (Scotland), 23 November 2016. "The precariat in rentier capitalism: The new dangerous class", lecture at the NOW festival, organised by the Heinrich Böll Foundation, Colta.ru and the Garage Museum of Contemporary Art, Moscow, 4-6 November 2016. Panellist in session on "Big bold question: What should business do about income inequality", BSR2016 Be Bold, organised by Business for Social Responsibility, New York, 1-3 November 2016. Launch of The Corruption of Capitalism: Why Rentiers Thrive and Work Does Not Pay, SOAS, University of London (UK), 26 October 2016. "The global precariat under rentier capitalism: The coming revolt of today's dangerous class", lecture at symposium Class, the Public Sphere and Political Debate, Tilburg University (Netherlands), 13 September 2016. "Rentier capitalism: The coming precariat revolt", Protest Festival, Kristiansand (Norway), 5-11 September 2016. Speech to session on "Enhancing income security", 2016 Queen's International Institute on Social Policy, Social Canada Revisited: Is Canada's Social Policy Architecture Fit For Contemporary Purpose?, Kingston, Ontario (Canada), 22-24 August 2016. "The growing precariat: Why a basic income is essential", lecture at the EWHA Womans University, Seoul, 8 July 2016. "The precariat: New challenges facing trade union organising", talk to the Folkemøde, the People's Political Festival, organised by 3F (United Federation of Danish Workers), Bornholm (Denmark), 17 June 2016. "A precariat charter: Responding to rentier capitalism", lecture to ISEO Summer School, organised by the Istituto di Studi Economici e per l'Occupazione (ISEO), Iseo (Italy), 11-18 June 2016. Keynote speech to the Nordic Social Security Conference on Global Megatrends and Challenges for the System of Social Security in the Nordic Countries, organised by the Norwegian Labour and Welfare Administration (NAV), Fornebu, Oslo, 8-10 June 2016. "Rentier capitalism: Why the precariat must revolt", public lecture and roundtable in series of debates on Work and University after Globalization, organised by the Istituto di Scienze Umane e Sociali, Scuola Normale Superiore, Florence (Italy), 25 May 2016. "The precariat: Why a basic income is urgently needed", opening keynote to the Revolution of Social Justice conference on basic income, organised by Progressive Hungary Foundation, Budapest, 21 May 2016. "Denizens in the precariat: Forging a progressive migration policy", keynote speech to conference on Changes, Challenges and Advantages of Cross-Border Labour Mobility within the EU, organised by the MIDA research project, Department of Culture and Global Studies, Aalborg University, Copenhagen, 19-20 May 2016. "A precariat charter for youth", keynote address to conference on Without the Safety Net: Are New Skills Needed for an Uncertain Working Life in a Globalised World, organised by the Danish Centre for Youth Research, Aalborg University, Copenhagen, 11 May 2016. "Rentier capitalism and the precariat: Why a basic income is essential", lecture organised by Quetelet Colleges, University of Ghent (Belgium), 3 May 2016. "The precariat: Why rentiers thrive and work does not pay", keynote to event on Austerity: Local and Global, organised by Manchester Metropolitan University Institute of Humanities and Social Science Research, Manchester (UK), 27 April 2016. "Rentier capitalism: Why the precariat must define progressive politics", public lecture organised by King's International Development Institute, King's College London (UK), 10 March 2016. Speech at debate on Lavoro e Pratiche di Cittadinanza [Labour and Practices of Citizenship], organised by Fondazione Giangiacomo Feltrinelli and Fondazione Mast, Bologna (Italy), 2 March 2016. "A precariat charter: New progressive politics for today's dangerous class", organised by Department of Economics, University of Massachusetts, Amherst (USA), 23 February 2016. "The precariat", public lecture organised by the International Affairs Program at Northeastern University, Boston (USA), 22 February 2016. "Taskers in the precariat: Confronting an emerging dystopia", speech to conference on The Future of Jobs: The Dual Challenges of Globalization and Robotization, organised by the McCullogh Center for Global Initiatives, Mount Holyoke College, South Hadley (USA), 20 February 2016. "The precariat and basic income", speech to conference on Breaking Barriers: A Strategy for the Labour Market, organised by the Study Association of Utrecht University School of Economics (ECU'92) (Netherlands), 17 February 2016. 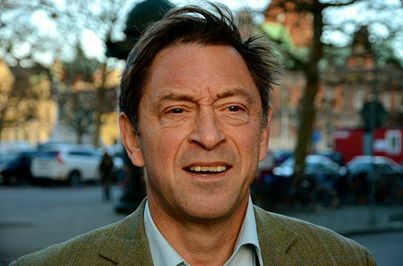 "Why Denmark should join in piloting basic income", speech to event on Basic Income - Utopia or Necessity? organised by Dagbladet, Copenhagen, 9 February 2016. "The precariat in the era of rentier capitalism", public lecture, University of Copenhagen, 9 February 2016. "The precariat", keynote address to Future Forum 2016 - Scenarios of Rebuilding organised by the Udine Chamber of Commerce (Italy), 4 February 2016. "A progressive agenda for the precariat class", seminar organised by Akademikerne (Norwegian Association of Professional Associations), Lysebu, Oslo, 21 January 2016. Panellist at round table on "An African precariat? Africa’s informal workers and inclusive development”, series on Labour Issues and Trade Unions in Africa, organised by the African Studies Centre, University of Leiden (Netherlands), 15 December 2015. “Piloting basic income in India: A transformative policy for sustainable development goals”, seminar series on Big Themes in South Asia organised by the Oxford Department of International Development (ODID), University of Oxford (UK), 2 December 2015. "The precariat: The coming shape of the working class", public lecture organised by the Simon Fraser University Labour Studies Program and the British Columbia Labour Heritage Centre, Vancouver (Canada), 17 November 2015. "The precariat: The new dangerous class", public lecture at conference on Organizing the Next Generation of Workers organised by the Simon Fraser University Labour Studies Program and the British Columbia Labour Heritage Centre, Vancouver (Canada), 17 November 2015. Opening keynote to conference on The Future Labour Market, organised by Akademikerne (Danish Confederation of Professional Associations), Copenhagen, 8 October 2015. "A precariat charter: A progressive strategy for globalisation's dangerous class", lecture in the Global Dynamics series, Roskilde University (Denmark), 7 October 2015. “The precariat: Building a new distribution system”, public lecture organised by the Centre for Workplace Leadership, University of Melbourne (Australia), 1 October 2015. “The expanding precariat: Reviving empathy and universalism”, plenary keynote speech to the Australian Social Policy Conference on Rights and Entitlements in Times of Austerity, Sydney, 28-30 September 2015. Participation in panel on "Beyond Workfare: Progressive Social Policy for a Good Society" at the Australian Social Policy Conference on Rights and Entitlements in Times of Austerity, Sydney, 28-30 September 2015. “The precariat: The global transformation of work and labour”, address to the Third Barcelona Challengers Conference on Times of Change - How innovations and technology influence the future of work, organised by Mazda and the Permanent Secretariat of the World Summit of Nobel Peace Laureates, Barcelona (Spain), 23 September 2015. "Unconditional basic income: A new direction for social policy? ", round table at the sixth congress of AIFRIS (Association Internationale pour la Formation, la Recherche et l'Intervention Sociale) on Multiplication of Precarities: Which social interventions?, Porto (Portugal), 6-10 July 2015. "Can we really leave wages to the free market? A discussion of gender bias, functional inequality and the case for basic income", participation in panel at the Rethinking Economics conference, University of Greenwich, London, 27-28 June 2015. "Hero to zero (hours)? The worker in the twenty-first century", participation in panel at the Dangerous Times festival, London, 27-28 June 2015. "A precariat charter: A progressive strategy for today's dangerous class", plenary address to the Labor Research & Action Network conference, Washington DC, 16 June 2015. Invited speaker for public debate "Magna Carta Now" organised by the Salisbury branch of Amnesty International, Salisbury (UK), 15 June 2015. "A precariat charter - restoring the commons", public lecture organised by the Social Precarity Network, Adam Smith Research Foundation, University of Glasgow (Scotland), 9 June 2015. Invited speaker at session on “Precariats of all countries”, Jacek Kuron Festival organised by Krytyka Polityczna, Warsaw, 2 June 2015. "The precariat: Overcoming insecurity and inequality", keynote speech to the 2015 European Conference for Social Work Research organised by the European Social Work Research Association (ESWRA), Ljubljana (Slovenia), 22-24 April 2015. "A precariat charter: A progressive agenda for today's dangerous class", plenary keynote, International Labour Process Conference, Athens (Greece), 13-15 April 2015. "Neoliberalism and the emergence of the precariat class", lecture organised by CAMSED - Cambridge Society for Social and Economic Development, University of Cambridge (UK), 12 March 2015. "A precariat charter: Combating insecurity and inequality", Sydney Ideas Lecture, organised by the School of Social and Political Sciences, University of Sydney, and the Australian Social Policy Association, Sydney (Australia), 5 March 2015. "The precariat - the new dangerous class" and "A precariat charter: Overcoming moralistic utilitarianism", addresses to 2015 conference of the New Zealand Association of Rationalists and Humanists, Havelock North (New Zealand), 13-15 February 2015. "Why a universal basic income? ", talk to Auckland Action Against Poverty, Auckland (New Zealand), 11 February 2015. "The precariat: From dangerous class to class-for-itself", plenary address to the fifth congress of the Spanish Social Policy Network (ESPAnet) on Inequality and Democracy: Public Policies and Social Innovation, Barcelona (Spain), 5-6 February 2015. "The precariat and class struggle", keynote speech at conference of CEVEA (Danish Confederation of Trade Unions) on The Future of Labour, Copenhagen, 3 February 2015. Panellist at session on basic income at conference of Sinistra Ecologia Libertà entitled Human Factor, Milan (Italy), 24 January 2015. Panellist at session on Migration and the Labour Market, international seminar Pour une approche critique et prospective des politiques migratoires : Penser la liberté de circulation [For a critical and prospective approach to migration policy: Think freedom of movement] organised by Ciré (Coordination initiatives en faveur des refugiés et étrangers), Brussels, 11-12 December 2014. 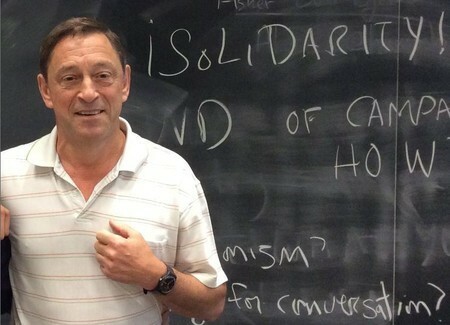 "A precariat charter: A progressive agenda for today's dangerous class", Lecture 4, Aarhus lectures in sociology organised by CESAU (Centre for Sociological Studies), University of Aarhus (Denmark), 9 December 2014. "From denizens to citizens", Headstrong Club, Lewes (UK), 5 December 2014. "Tackling inequality: The precariat charter", public lecture organised by Ambrose University and the Basic Income Canada Network, Calgary, Alberta, 20 November 2014. "A precariat charter: From denizens to citizens", CeSO interdisciplinary lecture series on Solidarity in Europe: A New Future for an Old Idea?, organised by the Centre for Sociological Research, Catholic University of Leuven (KU Leuven) (Belgium), 18 November 2014. "A precariat charter: From denizens to citizens", keynote speech to the Cornell Conference on Histories of American Capitalism organized by the Cornell University Industrial and Labor Relations (ILR) School, Ithaca, New York, 6-8 November 2014. Panellist in session on "Cash transfers as aid", Globalisation conference organised by the Norwegian Social Forum, Oslo, 31 October 2014. "A precariat charter: From dangerous class to class-for-itself", Institute for Policy Research public lecture, University of Bath (UK), 9 October 2014. Panellist in session on “Reducing labour market segmentation and polarisation”, conference on Labour Economics after the Crisis: What Theoretical Lessons to Draw from Policy Experience? organised by the European Commission, Brussels, 17-19 September 2014. "Nothing to lose but our insecurity: Work, society and a precariat charter", talk at Imagination: Scotland's Festival of Ideas organised by PAL Labs and the University of the West of Scotland, Glasgow, 5-7 September 2014. "A precariat charter: From denizens to citizens", plenary keynote speech to 27th biennial conference of the Nordic Sociological Association on Exploring Blind Spots, Lund (Sweden), 14-16 August 2014. "A precariat charter: From denizens to citizens", public lecture organised by the European Association of Development Research and Training Institutes (EADI), Bonn (Germany), 1 July 2014. "Building a precariat charter: From denizens to citizens", keynote address to the Nordic Working Life Conference on Threats and Possibilities Facing Nordic Working Life, Gothenburg (Sweden), 11-13 June 2014. "Citizen's income: an income floor for the precariat, and the means of global development", conference on Citizen's Income: A Solid Foundation for Tomorrow's Society, organised by the Citizen's Income Trust, London, 6 June 2014. "A precariat charter: From dangerous class to class-for-itself", keynote speech to the Subversive Festival on Power and Freedom in the Time of control, Zagreb (Croatia), 3-17 May 2014. Plenary speaker at session on “The place of work in contemporary capitalism”, international seminar on Contemporary Unionism: May 1 - a new vision for the Brazilian Labor Movement, organised by UGT (União Geral dos Trabalhadores - Central Trade Union) in cooperation with CESIT - Centre of Trade Union Studies and Labour Economy/ Instituto de Economia - Unicamp (University of Campinas), São Paulo (Brazil), 28-29 April 2014. Transcript of speech published in UGT/CESIT/Unicamp, Contemporary Unionism: A New View for the Trade Union Movement (São Paulo: Salinas, 2015), pp.26-30. Speaker at workshop on Labour Market Transformation in the 21st Century and the Implications for Social Protection, organised by the Overseas Development Institute and the European Commission, London, 3 April 2014. Presentation on basic income/citizen's income to the People's Parliament, House of Commons, London, 4 March 2014. Keynote speech to session on 'A precarious future? Work, education and young people' at the Radical Independence Conference, Glasgow (Scotland), 23 November 2013. "The precariat: The new dangerous class", public lecture at Studium Generale, University of Maastricht (Netherlands), 18 November 2013. “Basic income in India: Evaluating a pilot scheme”, presentation at King's India Institute, King's College, University of London (UK), 13 November 2013. Panellist at Warwick PPE Forum 2013 on “All Work and No Pay in 2013: The Automation of the Global Economy”, organised by the Warwick PPE Society, University of Warwick, Coventry (UK), 9 November 2013. “The Precariat – Youth in the New Dangerous Class”, keynote speech to Finnish Youth Research Society Annual Conference on Generations, Economy and Equity, Helsinki, 6 November 2013. Debate with Giorgio Airaudo on Basic Income or Work? New Welfare and Labour Policies, Salone dell'editoria sociale, Rome, 31 October to 3 November 2013. Lead speaker at panel on The Future of Work and the Next Economic Revolution at the IWF World Leadership Conference, Modern Movements: Shaping the World, Vancouver (Canada), 16-18 October 2013. "Reviving progressive politics: The precariat and basic income", public lecture organized by PES - Party of European Socialists, Stockholm, 4 October 2013. "Piloting basic income in India: Evaluating a transformative scheme for developing countries", seminar at SIDA - Swedish International Development Cooperation Agency, Stockholm, 4 October 2013. Lead speaker at panel on precariat at the annual conference of the Swedish Political Science Association, Stockholm, 2-4 October 2013. "The precariat: Why a basic income is vital", public lecture organized by ABF - Arbetarrörelsens bildningsförbund, Gothenburg (Sweden), 2 October 2013. "Work after globalization", seminar at Gothenburg Centre of Globalization and Development, University of Gothenburg (Sweden), 2 October 2013. "The precariat and deliberative democracy: Towards a precariat charter", speech to International Labour Organization conference on Precarious Forms of Work in Bulgaria, Sofia, 30 September 2013. "The precariat: The new dangerous class", presentation in the Chris Hani Institute Debate Series, Cosatu House, Johannesburg (South Africa), 25 September 2013. "A precariat charter: From denizens to citizens", seminar at SWOP - Society, Work and Development Institute, University of the Witwatersrand, Johannesburg (South Africa), 25 September 2013. "A basic income pilot project in 20 rural Indian villages", speech to Second International Colloquium NUPSI-USP on Democratic Inventions: Constructions of Happiness, São Paulo (Brazil), 19-22 September 2013. Discussant on zero-hours contracts at event on A Matter of Time: The Rise of Zero-Hours Contracts organised by the Resolution Foundation, London, 25 June 2013. "The precariat: The struggle against poverty traps, precarity traps and workfare", invited presentation to working seminar For an Equal and Social Europe, organised by Alliances to Fight Poverty, Lisbon, 23-24 May 2013. "Youth in the precariat: The challenge ahead", keynote speech at Youth Studies Conference 2013: New Agendas on Youth and Young Adulthood, organised by Journal of Youth Studies and University of Glasgow, Glasgow (Scotland), 8-10 April 2013. "Is the crisis turning the precariat into the new proletariat? ", debate with Denis Pennel of Eurociett (European Confederation of Private Employment Agencies) in A Citizen's Controversy seminar series organised by Madariaga - College of Europe Foundation, Brussels, 4 April 2013. "The precariat: Building occupational citizenship", keynote address to symposium on Global Workers' Rights: Patterns of Exclusion, Possibilities for Change, organised by Center for Global Workers' Rights, Pennsylvania State University, University Park (USA), 20-23 March 2013. "Precari: i diritti e il lavoro", discussion with Stefano Rodotà at Libri Come - Festa del Libro e della Lettura, organised by Musica per Roma Fondazione, Rome, 14-17 March 2013. Keynote speech to symposium on Precarious Work and the Living Wage in our Communities, organised by Auckland University of Technology Work Research Institute, Auckland (New Zealand), 14-15 February 2013. "From cash transfers to basic income", Radhakamal Mukherjee Memorial Lecture, 54th ISLE Conference, Varanasi (India), 20-22 December 2012. Invited speaker at conference on 10 Anos para Relançar a Integração Europeia através dos Paises Periféricos [10 Years to Relaunch European Integration from the Periphery], organised by the Ulysses Project, Lisbon, 9 December 2012. Invited speaker at conference on O Precariado e o Futuro do Trabalho: como vencer o medo? [The Precariat and the Future of Work: How to Overcome Fear? ], organised by the Centre for Social Studies, University of Coimbra, Coimbra (Portugal), 7 December 2012. "Politics and struggle in an age of insecurity", presentation organised by Fronesis at the Socialist Forum 2012, Stockholm, 1 December 2012. "Doubtful work, uncertain life", public discussion with Rebecka Bohlin, organised by the Centre for Marxist Studies, Stockholm, 30 November 2012. "Migrants and the precariat", keynote speech to conference on Precarious Lives and New Migration: Policy Scenarios for Vulnerable Migrants organized by Praxis, London, 21 November 2012. 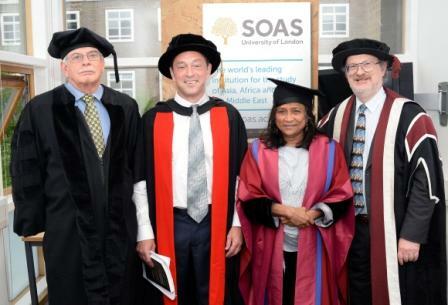 Plenary address to the annual conference of the Development Studies Association, London, 3 November 2012. "Tertiary time and the weekend: The precariat's dilemma", keynote speech to conference on It's the Weekend organized by CRESC - Centre for Research on Socio-Cultural Change, University of Manchester (UK), 1 November 2012. Public lecture at event on Understanding and Tackling Precarious Work, organised by University College London Labour Rights Institute, London, 23 October 2012. "The precariat", invited speaker at conference on Knowledge Workers and Changes in Employment and Capitalism - New Representations, New Classes?, organised by Centre d'Etudes de l'Emploi, IMM-GSPM (EHESS-L’école des hautes études en sciences sociales) and CURAPP - ESS, Université de Picardie Jules Vernes, Paris, 22 October 2012. Keynote presentation on the precariat to ESRC seminar on State and Policy Responses to the Rise of Precarious Employment among Young Workers, University of Greenwich, London (UK), 21 September 2012. Plenary address to an interdisciplinary conference on Exploring "the Precariat", University of Brighton (UK), 12 September 2012. "Towards a precariat charter: From denizens to citizens", plenary address at conference on Vulnerable Workers and Precarious Work in a Changing World, University of Middlesex, London, 10-11 September 2012. Keynote speech on the precariat to conference on O Precariato e politicas sociais no século XXI” (The precariat and social policies in the twenty-first century), organised by Fundepes - Fundação para o Desenvolvimento do Ensino, Pesquisa e Extensão, Marília, São Paulo (Brazil), 25-28 June 2012. Debate on Justice through Unconditional Basic Income at the European Foundation Centre annual conference on Peace through Social Justice: A Role for Foundations?, Belfast (Northern Ireland), 6-8 June 2012. "Why the precariat needs a basic income", presentation at final 2012 Transeuropa Festival and participation in launch of campaign for a European basic income, Rome, 2-3 June 2012. Debate with participants at conference on Precariousness: From a Social Condition to a State of Mind, organized by European Alternatives as part of the 2012 Transeuropa Festival, London, 20 May 2012. "Precari: una nuova classe sociale? 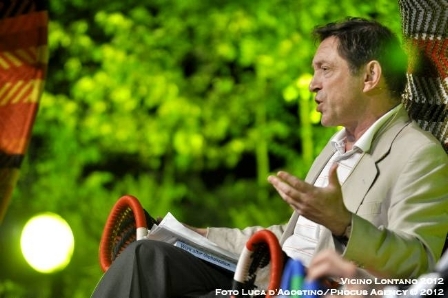 ", debate with Michele Pellizzari, organized by the Vicino-Lontano festival, Udine (Italy), 5 May 2012. "The precariat in urban development: A spectre for political unrest", presentation to a seminar on Politics of the Urban Poor: Class, Protest and Survival in African Cities, organized by the Chr. Michelsen Institute, Bergen (Norway), 22 March 2012. "Is there a European precariat? ", debate with Kevin Doogan hosted by the University of Hertfordshire Business School, Hatfield (UK), 8 March 2012. "The precariat: The new dangerous class", the 2012 T.H. 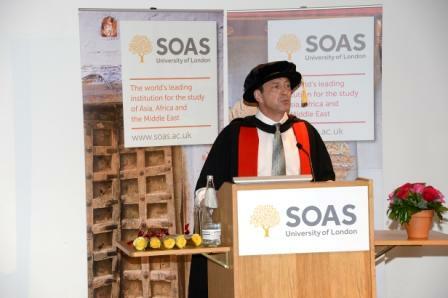 Marshall Lecture, University of Southampton (UK), 15 February 2012. "The precariat: The new dangerous class", keynote speech for the 26th conference of AIRAANZ (Association of Industrial Relations Academics of Australia and New Zealand) on Reorganising Work, Surfers Paradise, Queensland (Australia), 8-10 February 2012. "The precariat: The state's role in providing basic income security", panel on Labour Market Related Inequalities and their Mitigation at high-level expert conference on Inequalities in Europe and the future of the welfare state, organized by the European Commission, Brussels, 5-6 December 2011. "From the precariat to occupational citizenship", presentation to conference organized by Scotland's Futures Forum, Scottish Parliament, Edinburgh, 21 November 2011. Invited presentation of The Precariat to the annual congress of the Socialistische Partij Anders (SP.a - Flemish Social Democratic Party), Ghent (Belgium), 19 November 2011. Invited speaker on theme of Welfare Reform: Making Work Pay? at CPAG Policy Conference, Job Done? Can Welfare Reform and Social Mobility End Child Poverty?, organized by the Child Poverty Action Group, London, 1 November 2011. Public presentation of The Precariat organized by the Network Grundeinkommen, Vienna, 17 October 2011. Public presentation of The Precariat organized by the Work Foundation, London, 11 October 2011. "The precariat", invited presentation to a seminar on Decent Work for Migrant Workers in Precarious Situations in EU 27 organized by the International Training Centre of the International Labour Organization, Gdansk (Poland), 13-14 September 2011. Presentation on the precariat to the Risk, Arbitrage and Displacement Post-Crisis workshop organized by the University of Hertfordshire Business School, Hatfield (UK), 6-7 June 2011. "The precariat: The new dangerous class", presentation at the New Economics Foundation, London, 6 June 2011. Participant in roundtable discussion on "Globalization and flexibilization of the workforce" at a workshop on Future of Work: Building an Inclusive Workforce in the Wake of the Economic Crisis, organized by Green Templeton College, Oxford (UK), 2-3 June 2011. "The precariat: The new dangerous class", seminar presentation at the University of Middlesex, London, 12 May 2011. "The precariat: The new dangerous class", presentation organized by the Center for Economic and Policy Research and the Economic Policy Institute, Washington DC, 12 April 2011. "The precariat and the current slump", seminar presentation at the Schwartz Center for Economic Policy Analysis, New School, New York, 11 April 2011. "The precariat: The new dangerous class", presentation at the Harvard Kennedy School, Cambridge, Massachusetts (USA), 1 April 2011. "Work after globalization", invited lecture to the Hertie School of Governance, Berlin, 16 March 2011. "Targeting the poor: Clogged pipes and bureaucratic blinkers", presentation to a symposium on Promoting Social Inclusion in South Asia: Policies, Pitfalls and the Analysis of Welfare/Insecurity Regimes, organized by the Centre for Development Studies, University of Bath (UK), 13-14 September 2010. "Work after globalization: Building occupational citizenship", presentation to the Work, Employment and Society Conference 2010 on Managing Uncertainty: A New Deal? International Challenges and the Changing Face of Work, organized by the British Sociological Association, University of Brighton (UK), 7-9 September 2010. "Work after globalization: Building occupational citizenship", keynote presentation to the Industrial Relations in Europe Conference (IREC) 2010 on Industrial Relations and Labour Market Governance during the Crisis, FAFO, Oslo, 8-10 September 2010. "Work after globalization: Building occupational citizenship", invited presentation to the 7th conference of the East Asian Social Policy Research Network (EASP) on Searching for New Policy Paradigms in East Asia: Initiatives, Ideas and Debates, Sogang University, Seoul, 20-21 August 2010. "The precariat in Korea and basic income", invited presentation to the first Korea-Japan Basic Income Network Joint Symposium, organized by the Basic Income Korean Network, the Basic Income Japanese Network and the Institute for Urban Humanities, University of Seoul, 19 August 2010. "Il basic income come misura di contrasto al precariato", invited presentation to a conference on Fundamental Rights and EU Policy after Lisbon, University of Pescara (Italy), 6-7 May 2010. "Work after globalization: Building occupational citizenship", annual Irene and Bernard L. Schwartz Lecture, Schwartz Center for Economic Policy Analysis, New School, New York, 20 April 2010. "Basic income for the precariat", keynote presentation to conference on Basic Income at a Time of Economic Upheaval: A Path to Justice and Stability?, organized by the Basic Income Canada Network and the US Basic Income Guarantee Network, Montreal, Quebec (Canada), 15-16 April 2010. "Work after globalization", plenary presention to the inaugural conference of the Basic Income Japanese Network, Kyoto (Japan), 26-27 March 2010. "Work after globalization: Reaching the precariat", presentation to the 28th International Labour Process Conference, New Brunswick, New Jersey (USA), 15-17 March 2010. "Rebuilding social protection in developing countries after the crisis", invited presentation to the Department for International Development (DFID), London, 24 November 2009. "The 'precariat': What is producing it and what are the responses to it? ", presentation to East Meets West seminar sponsored by the Economic and Social Research Council at the British Academy, London, 6 November 2009. Presentation on cash transfers to seminar organised by SEWA (Self-Employed Women's Association of India), New Delhi, 27 August 2009. "From conditional to unconditional cash transfers:A new model of social protection", invited presentation to Second Conference on Integrated Social Policies in Egypt organised by the Egyptian Ministry of Social Solidarity, Cairo, 4-5 July 2009. "Responding to crises in the Global Transformation", presentation to UK Department for International Development (DFID) retreat on Responding to New Global Challenges: Making It Happen and Measuring our Impact, Chesham (UK), 15-18 June 2009. "Basic income as an alternative to conditional cash transfers", presentation to conference on Conditional Cash Transfers: Reducing Present and Future Poverty organised by the World Bank and the Institute for Fiscal Studies, London, 26 May 2009. Presentation to workshop on social protection, organised by the Ford Foundation and the Institute of Development Studies, University of Sussex, Brighton (UK), 11-12 May 2009. "The Global Transformation: From 'jobholders' to occupational citizenship", presentation to the fourth International CLPE Conference on Knowledge in Labor, Work & Action: Revisiting Hannah Arendt's Human Condition in the 21st Century, Osgoode Hall Law School/Schulich School of Business, York University, Toronto (Canada), 30 April-1 May 2009. "Basic income: Bringing security to the precariat", presentation to conference "Ripensare Welfare e Diritti: La sfida del Basic Income", University of Florence (Italy), 24 April 2009. "Responding to the crisis: Economic stabilisation grants", presentation to Economics Summit at the University of Bath (UK), 20 March 2009. Speech to conference on Young People for a Social Europe organised by the Socialist Group in the European Parliament, Brussels, 4-5 March 2009. "Could a basic income work in Africa? Report on a pilot scheme in Namibia", presentation to a seminar at the School of Oriental and African Studies, London, 27 January 2009. “State benefits and community income”, presentation to workshop organized by the Self-Employed Women's Association (SEWA) and the Gujarat Institute of Development Research, Ahmedabad (India), 9-10 December 2008. “Work after globalization”, invited public presentation at the University of Sydney (Australia), 21 November 2008. "Reviving egalitarianism in full freedom: Why basic income will define progressive politics", plenary presentation to Twelfth BIEN Congress on Inequality and Development in a Globalised Economy - The Basic Income Option, Dublin, 19-21 June 2008. “A pilot basic income scheme in Africa”, plenary presentation to Twelfth BIEN Congress on Inequality and Development in a Globalised Economy – The Basic Income Option, Dublin, 19-21 June 2008. "Occupational citizenship in the global transformation", invited lecture at the Centre for Work and Life, University of Adelaide (Australia), 2 May 2008. “Towards occupational citizenship: A context for basic income”, plenary speech to the annual meeting of the Eastern Economic Association, Boston (USA), 7-9 March 2008. “Reviving egalitarianism in the Global Transformation: Building occupational security”, plenary speech to conference on Universalising Socio-Economic Security in South Asia, organized by the International Institute of Social Studies (The Hague) and the Institute for Human Development, New Delhi, 17-20 February 2008. “Precarious employment and women’s work”, keynote speech to annual congress of the Self-Employed Women’s Association (SEWA), Ahmedabad (India), 7-9 January 2008. Keynote speech for symposium on Labor on the Margins, organized by Community Education Program, Simon Fraser University, Vancouver (Canada), 16-17 November 2007. "Social rights and welfare in the era of global flexibility: The necessity of universal forms of solidarity and redistribution", speech to conference on Small is Beautiful? Work, Social Rights and Trade Unions in Small Firms, organised by the European Trade Union Institute, Brussels, 27 October 2006. Speech to civil society summit on Closing the Poverty Gap, Johannesburg (South Africa), 27 June 2005. "Ukraine's dire insecurities: What are the priorities? ", "Discrimination and disadvantage: Are women and older workers being marginalised? "and "'Decent work index' and ‘decent work enterprise index': Tools for policy? ", papers for national conference on Socio-Economic Security in Ukraine, organised by the State Statistics Committee of Ukraine, ILO and UNDP, Kiev, 13-14 April 2005. "The challenge of economic insecurity in India", keynote speech to international conference on Employment and Income Security in India, organised by the Institute for Human Development, New Delhi, 6-8 April 2005. "Socio-economic security", inaugural seminar as visiting professor at University of Bath, organised by the Institute for International Policy Analysis, Bath (UK), 12 November 2004. Keynote speech to conference on Strengthening Income Security in Namibia: Poverty, HIV/AIDS and the Need for a Basic Income Grant, Windhoek, 2-5 November 2004. "Policy alternatives: The Basic Income Grant", speech to conference on the Tenth Anniversary of South African Independence and the 50th Anniversary of the School of Development Studies, University of KwaZulu-Natal, Durban, 21-22 October 2004. Plenary address to Forum Barcelona 2004: Human Rights, Emerging Needs and New Commitments, organised by Institut de Drets Humans de Catalunya, Barcelona (Spain), 18-21 September 2004. 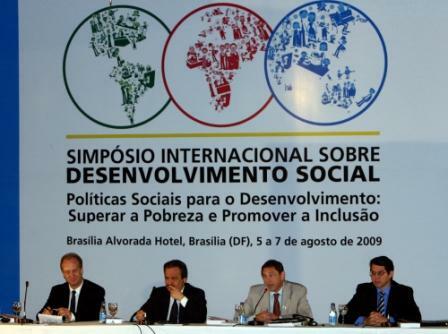 Presentation to conference on Overcoming Social Exclusion: Brazil in Comparative Perspective, organised by the Centre for Brazilian Studies, University of Oxford (UK), 22 June 2004. "Economic insecurities in a great transformation", paper for international conference on Changes in Working Life and the Appeal of Right-Wing Populism in Europe, organised by the SIREN project, Vienna, 17-18 June 2004. "Combating economic insecurity in Ukraine: The major findings of UPSS-3", paper for conference on People's Socio-Economic Security in Ukraine, Kiev, 16-17 December 2003. Presentation on a basic income grant for South Africa to the national BIG conference on Reducing Poverty and Inequality - A BIG Solution, Soweto (South Africa), 2-4 December 2003. Presentation on socio-economic databases to the 17th International Conference of Labour Statisticians, Geneva (Switzerland), 24 November-3 December 2003. Invited plenary speaker at conference on Economics for the Future to celebrate 100 years of the Faculty of Economics, University of Cambridge (UK), 17-19 September 2003. Presentations to African technical consultation on Economic Security and Decent Work, organized by ILO, Dar-es-Salaam (Tanzania), 26-27 May 2003. Published as "Introduction" and "Income security, justice and social protection in Tanzania: A comparison with Ethiopia, Ghana and South Africa", in R. Paratian and S. Dasgupta (eds. ), Confronting Economic Insecurity in Africa (Geneva, ILO, 2004), pp.197-238. "The right to basic income security", speech to conference on Staying Poor: Chronic Poverty and Development Policy, organised by the Chronic Poverty Research Centre, University of Manchester (UK), 7-9 April 2003. "The idea of work", plenary speech to conference on The Future of Work: Key Challenges for the European Employment Strategy, organised by the Greek Presidency of the European Union, Athens, 13-14 February 2003. "Struggling with insecurity in Ukraine: The Ukrainian People's Security Survey 2002", paper for international conference on economic security, organised by Statistics Committee of Ukraine and ILO, Kiev, December 2002. Presentation on basic income to a seminar organised by CORI (Conference of Religious of Ireland), Dublin, October 2002. "About time: The right to income security", paper for conference on Quality in Employment and Enlargement of the European Union, Brussels, 18-19 October 2002. Panel speaker at seminar of Parliamentary Group of the Party of European Socialists on Economic, Employment and Social Implications of Restructuring, Brussels, 14-15 October 2002. "About time: Basic income security as a right", paper for ninth Congress of the Basic Income European Network on Income Security as a Right, Geneva (Switzerland), 12-14 September 2002. PDF Published in G. Standing (ed. ), Promoting Income Security as a Right: Europe and North America (London, Anthem Press, 2005), pp.1-40. "The South African solidarity grant", paper for ninth Congress of the Basic Income European Network on Income Security as a Right, Geneva (Switzerland), 12-14 September 2002. PDF Published in G. Standing and M. Samson (eds. ), A Basic Income Grant for South Africa (Cape Town, University of Cape Town Press, 2003), pp.7-18. Speech to conference on Strengthening the Security in Social Security, organised by the International Social Security Association, Vancouver (Canada), 10-12 September 2002. Presentation to workshop on Labour Law and the Informal Economy, organised by Women in Informal Employment: Globalizing and Organizing (WIEGO), Geneva (Switzerland), 15-16 June 2002. Keynote address to SU/TCDC, UNDP inter-regional workshop on Social Protection in an Insecure Era: A South-South Exchange on Alternative Social Policy Responses to Globalization, Santiago (Chile), 14-17 May 2002. Keynote address to seminar on Decentralisation, Sustainable Development and Social Security, organised by Joint Committee of Panchayats (Aryad and Kanjikkuzhy Blocks) and ILO, Mararikulam, Kerala (India), 11-13 May 2002. "Globalisation: The eight crises of social protection", V.V. Giri Memorial Lecture to 43rd Annual Conference of the Indian Society of Labour Economics, Bangalore (India), 19 December 2001. PDF Published in The Indian Journal of Labour Economics, Vol.45, No.1, Jan.-Mar. 2002, pp.17-46, and as "Globalization: Eight crises of social protection", in L. Beneria and S. Bisnath (eds. ), Global Tensions: Challenges and Opportunities in the World Economy (London and New York, Routledge, 2004), pp.111-133. "Monitoring economic security in Indonesia" (with J. Pincus and J. Sender), paper for technical seminar on People's Security Surveys, Geneva (Switzerland), ILO, 28-30 November 2001. Invited plenary speaker to 27th General Assembly of the International Social Security Association, Stockholm, 9-15 September 2001. Presentation of Ukraine survey results to tripartite conference organised by the Government of Ukraine, UNDP and ILO, Kiev, Aug. 2001. Keynote speech to the annual conference of the UK Social Policy Association on Reconstituting Social Policy: Global, National, Local, Belfast (Northern Ireland), 24-26 July 2001. "Care work: Overcoming security and neglect", presentation to an informal consultation on Care Work Security, ILO InFocus Programme on Socio-Economic Security, Geneva (Switzerland), 29-30 March 2001. Published in M. Daly (ed. ), Care Work: The Quest for Security (Geneva, ILO, 2001), pp.15-32. Presentation to workshop on Basic Security, National Council of Applied Economic Research, New Delhi, 21 March 2001. Presentation to workshop on Women Workers: An Agenda for the Future, National Commission on Labour, New Delhi, 19-20 March 2001. Keynote address to 15th Annual Conference of AIRAANZ (Association of Industrial Relations Academics of Australia and New Zealand) on Crossing Borders: Employment, Work, Markets and Social Justice across Time, Place and Discipline, University of Wollongong (Australia), 31 January-2 February 2001. "Beyond Third Wayism: Basic security as equality", presentation to colloquium on Social Cohesion and Social Protection, University of Quebec, Montreal (Canada), 25-26 January 2001. Invited presentation on labour markets in accession countries to a conference on The Economic and Social Dimension of EU Enlargement, organised by the French Presidency of the European Union, Brussels, 16 November 2000. Keynote speech on minimum income schemes to annual conference of ANPOCS (Associação Nacional de Pós-Graduaçãoe Pesquisa em Ciências Sociais), Petrópolis (Brazil), 23-27 October 2000. Speaker at ILO/UNDP roundtable on poverty, Moscow, 19 September 2000. Invited speaker at seminar on women in informal work, organised by WIEGO (Women in Informal Employment: Globalizing, Organizing) and Radcliffe Public Policy Center, Harvard University, Cambridge (USA), 25-26 May 2000. "Global labour flexibility: Seeking distributive justice", keynote speech to Third Latin American Congress of Work Sociology on El Trabajo en los Umbrales del Siglo XXI, Buenos Aires (Argentina), 17-20 May 2000. Published as "La inseguridad laboral", Revista Latinoamericana de Estudios del Trabajo, Year 6, No. 11, 2000, pp.47-105. Speech to conference on Social Protection as a Productive Factor, organised by the Portugese Presidency of the European Union, Porto (Portugal), 13-14 April 2000. "Implicações do desemprego e pobreza juvenis para as políticas econômicas e sociais", keynote presentation to Fórum Jovem Século XXI: Educação, formação profissiona empregabilidade, organised by the ILO and CINTERFOR (Centro Interamericano de Investigación y Documentación sobre Formación Profesional), Brasilia, 7-10 December 1999. "Global labour flexibility: Seeking distributive justice", guest lecture at Max Planck Institute for the Study of Societies, Cologne (Germany), 24 November 1999. Invited address to conference on Beyond Transition: Ten Years after the Fall of the Berlin Wall, UNDP policy workshop, The Hague, 11-15 October 1999. Keynote address to seminar on Restructuring Employment and Work in East-Central Europe, University of Sussex, Brighton (UK), 18-19 June 1999. Published as "The babble of euphemisms: Social protection in ‘transformed' labour markets", in A. Rainnie, A. Smith and A. Swain (eds. ), Work, Employment and Transition: Restructuring Livelihoods in Post-Communism (London, Routledge, 2002). "New development paradigm or Third Wayism: A critique of a World Bank rethink", paper for conference on Global Trajectories: Ideas, Transnational Policy Transfer and ‘Models' of Welfare Reform, European University Institute, Florence (Italy), 25-26 March 1999. Published as "Brave new words? A critique of Stiglitz's World Bank rethink", Development and Change, Vol.31, No.4, Sept. 2000, pp.737-763. "Global flexibility: Economic integration, social disintegration? ", paper for international conference on Globalisation, Institutions and Social Cohesion, organised by the University of Rome, 15-17 December 1998. Published in M. Franzini and F.B. Pizzuti (eds. ), Globalization, Institutions and Social Cohesion (Berlin, Springer, 2001), pp.167-181. Speaker at seminar on Labour Market Flexibility and Welfare Reform: Increasing Labour Market Participation, organised by Citizen's Income Trust, London, 12 November 1998. "The babble of euphemisms: Social protection in ‘transformed' labour markets", paper for conference on Post-Communist Transformation and the Social Sciences: Cross-Disciplinary Approaches, organised by the Frankfurt Institute for Transformation Studies, Berlin, 30-31 October 1998. Published in A. Rainnie, A. Smith and A. Swain (eds. ), Work, Employment and Transition: Restructuring Livelihoods in Post-Communism (London, Routledge, 2002). "Konstruktywne myślenie o przyszłości w Zjednoczonej Europie" ("Flexible labour markets and regulations: Thinking constructively about the future in a united Europe"), paper for conference on Tworzenie nowych miejsc pracy I restrukturyzacja ekonomiczna w Polsce, organised by Center for Social and Economic Research (CASE), Warsaw, 23-24 October 1998. "Seeking equality of security in the era of globalisation", paper for seventh Congress of the Basic Income European Network, Amsterdam (Netherlands), 10-12 September 1998. "Achieving economic and social rights within globalisation", background paper for Regional Conference on Human Rights for Human Development to celebrate 50th anniversary of the Universal Declaration of Human Rights, organised by UNDP Regional Bureau for Europe and CIS, Yalta (Ukraine), 2-4 September 1998. Published in The New Yalta: Commemorating the 50th Anniversary of the Declaration of Human Rights in RBEC Region (New York, UNDP Regional Bureau for Europe and CIS, 1998), pp.121-126. Invited speaker on basic income to international conference on Renda Mínima: Discussões e Experiências, organised by the Federal Senate of Brazil, Brasilia, 11-12 August 1998. Proceedings published as Renda Mínima: Discussões e Experiências, Conferência Internacional (Brasilia, Federal Senate, 1998), pp.30-36 (in Portugese). Invited speaker for discussion on globalisation and human rights at the UN Committee on Economic, Social and Cultural Rights, Geneva (Switzerland), 11 May 1998. "The folly of social safety nets in Eastern Europe", speech to workshop on Reforms of Welfare State: Are There Alternatives to (Neo) Liberal Social Policies, organised by the Open Society Institute (Slovenia), Ljubljana, 8-9 May 1998. "Transformation of jobs and employment", panel contribution at Gender and Development Workshop, organised by the World Bank, Washington DC, 2 April 1998. "Employment and social exclusion", invited address to UN Human Rights Commission Round Table on Setting Benchmarks for the Realisation of Economic, Social and Cultural Rights, Geneva (Switzerland), 25 March 1998. "Seeking equality of security in the era of globalisation", speech to international seminar on Emprego e Desenvolvimento technológico, organised by Departamento Intersindical de Estatística e Estudos Sócio-Econômicos DIEESE/PCDT-CNPq, São Paulo and Brasília (Brazil), 12-18 November 1997. Invited speaker to conference on Full Employment and the Future of Welfare, University of Quebec, Montreal (Canada), October 1997. "The challenge of learning from experience", speech to conference on Advancing the Social Agenda: Two Years after Copenhagen, organized by United Nations Research Institute for Social Development (UNRISD), Geneva (Switzerland), 9-10 July 1997. Speech at an international conference on Flexibilisierung - Problem oder Lösung (Flexibility - Problem or Solution), organised by Denkwerkstätte Graz Arbeit und Arbeitslosigkeit, Graz (Austria), 20-21 June 1997. "Labour market dynamics in South African industrial firms: The South African labour flexibility survey", presentation to conference on Labour Markets and Enterprise Performance, Pretoria, 30 January 1997. "The ‘Human Development Enterprise': Seeking flexibility, security and efficiency", presentation to the ILO Enterprise Forum, Geneva (Switzerland), 8-9 November 1996. Participation in Economic Policy Forum organised by the International Center for Research on Women, The Hague, 18-19 September 1996. Paper for ninth annual Labour Law Conference on Transformation in the Workplace, organised by Centre for Socio-Legal Studies, Centre for Applied Legal Studies, Institute of Development and Labour Law, University of Natal, Durban (South Africa), 11-13 July 1996. Plenary speaker on labour market fragmentation and globalisation at 13th National Congress of Confederazione Generale Italiana del Lavoro (CGIL), Rimini (Italy), 2-5 July 1996. Paper for Carrefour européen des sciences et de la culture, « Quel avenir pour le travail en Europe? », organised by the office of Jacques Santer, European Commission President, Lund (Sweden), 27-28 October 1995. "Structural adjustment and wages", paper for International Progressive Policy Conference on Wage Inequality, Easton. Maryland (USA), 14-17 October 1995. "The HDE concept: Rationale and measurement", plus papers on Malaysia and the Philippines for technical meeting on enterprise restructuring and labour markets, organised by ILO Labour Market Policies Branch, Turin (Italy), 31 May-2 June 1995. “Social protection in central and eastern Europe: A tale of slipping anchors and torn safety nets”, paper for seminar on The Future of the Welfare State in Global Perspective: An International Debate, organised by UNRISD at the United Nations Social Summit, Copenhagen, 6-12 March 1995. Published in G. Esping-Andersen (ed. ), Welfare States in Transition: National Adaptations in Global Economies (London, Sage for UNRISD, 1996), pp.225-255. "Enterprise restructuring: The ILO's Ukraine Labour Flexibility Survey of 1994" and "Wage trends in industrial enterprises: The ULFS findings", papers for International Conference on Reforming Labour Market and Social Policy in Ukraine, Kiev, 26-27 September 1994. “Labour market policies: Reconstructing statistics”, paper for conference on Restructuring of Labour Statistics in Transition Countries: First Results and Emerging Challenges, organised by ILO Bureau of Statistics, Minsk (Belarus), 31 August-2 September 1994. Published in I. Chernyshev, Statistics for Emerging Labour Markets in Transition Economies: A Technical Guide on Sources, Methods, Classifications and Policies (Basingstoke, Macmillan, 1997), pp.61-80. "The wage crunch in Central and Eastern Europe" (with D. Vaughan-Whitehead), paper for meeting of CNEL (Consiglio Nazionale dell'Economia e del Lavoro), Rome, June 1994. "The labour market and social policy", speech to seminar on Social Policy in the Transition, organised by the European Forum for Democracy and Solidarity, Moscow, 13-15 May 1994. "The challenges for governance of social protection in the 1990s", paper for the Cyprus Roundtable on Design and Governance of Social Protection Systems, organised by ILO-CEET and the Ministry of Labour and Social Insurance of Cyprus, Larnaka, 23-25 March 1994. "From the minimum wage to income security: The challenge", paper for Third Central European Forum: Lessons in Social Policy, Vienna, 21-23 January 1994. "Minimum wage, workfare and citizen's income: Instruments for redistributive justice in the 21st century", paper for conference on Economic Analysis of Low Pay and the Effects of Minimum Wages, Arles (France), 30 September-1 October 1993. "Labour insecurity in Central and Eastern Europe: A vision of decency needed", paper for Council of Europe Parliamentary Conference on Economic Progress in Central and Eastern Europe: Lessons and Prospects, Helsinki, 2-4 June 1993. "The Bulgarian Labour Flexibility Survey", ten papers (with G. Sziráczki and J. Windell) for conference on Labour Market Reforms in Bulgarian Industry, organised by Bulgarian Ministry of Labour and Social Affairs and ILO-CEET, Sofia, 18-20 May 1993. "The labour market crisis in Eastern and Central Europe", paper for round table organised by the United Nations Economic Commission for Europe, Geneva (Switzerland), March 1993. "Employment dynamics and occupational shifts: The Russian Labour Flexibility Survey", paper for conference on Restructuring Labour Practices in Russian Industrial Enterprises, organised by ILO and local tripartite organisations, St. Petersburg, 26-28 October 1992. "The Russian Labour Flexibility Survey: Employment dynamics in Russian industry", paper for conference on Restructuring Labour Practices in Russian Industrial Enterprises, organised by ILO with Russian Federation Ministry of Labour and Russian Federal Employment Service, Moscow, 21-23 October 1992. "Restructuring for distributive justice in Eastern Europe", paper for seminar on Towards a Competitive Society in Central and Eastern Europe: Social Dimensions, organised by the National Agency for Welfare and Health (Finland) and the European Centre for Social Welfare Policy and Research (Austria), Kellokoski (Finland), 20-22 September 1992. Published as Restructuring for Distributive Justice in Eastern Europe, ILO-CEET Policy Papers No. 2 (Budapest, ILO-CEET, Jan. 1993). "Questioni di politica sociale e del mercato del lavoro", paper for conference on La situazione sociale nei paesi dell'Europa Centrale ed orientale, organised by CNEL (Consiglio Nazionale dell'Economia e del Lavoro), Rome, 12-13 May 1992. "Emerging modalities of work and labour: Pursuit of occupation in flexible labour markets", paper for conference on Human Resources at the Dawn of the 21st Century, organised by EUROSTAT and the Government of Luxembourg, Luxembourg, 27-29 November 1991. Published in Human Resources at the Dawn of the 21st Century: Conference Proceedings (Luxembourg, European Communities, 1992), pp.301-317. "Emerging labour market policies in Eastern Europe", paper for the European Association of Labour Economists conference, El Escorial (Spain), 26-29 September 1991. "Labour mobility in Europe and labour market institutions", paper for the third European regional congress of the International Industrial Relations Association, Bari (Italy), 23-26 September 1991. "Labour insecurity through market regulation: Legacy of the 1980s, challenge for the 1990s", paper for conference on Poverty and Social Marginality, organised by the Joint Center for Political and Economic Studies, Washington DC, 19-21 September 1991. Published in K. McFate, R. Lawson and W.J. Wilson (eds. ), Poverty, Inequality and the Future of Social Policy (New York, Russell Sage Foundation, 1995), pp.153-196. Speech on workers’ security at University of Texas, Austin (USA), March 1991. "Poverty in Eastern Europe", paper for the second conference of the European Association of Labour Economists, Lund (Sweden), 20-23 September 1990 (published in Conference Papers Vol.5). "Labour regulation in an era of fragmented flexibility", paper for the WZB/ILO/IILS international conference on Workers' Protection and Labour Market Dynamics, Berlin, 16-19 May 1990. Published in C.F. Buechtemann (ed. ), Employment Security and Labor Market Behavior (Ithaca, NY, ILR Press, 1993), pp.425-441. Speaker at European Conference on Poverty, Marginalisation and Social Exclusion in the Europe of the 1990s, organised by the University of Sassari with the Employment, Industrial Relations and Social Affairs Directorate (DG-V) of the European Commission, Sardinia (Italy), 23-25 April 1990. Presentation to seminar on The World Development Volume: Beyond Survival - Expanding Income Earning Opportunities for Women, World Bank/Ford Foundation Women's Program, Washington DC, 20 April 1990. "Labour fragmentation and inequality", paper for conference on Pathways to Industrial and Regional Development in the 1990s, Lake Arrowhead, California (USA), 14-18 March 1990. Published as "Alternative routes to labor flexibility", in M. Storper and A.J. Scott (eds. ), Pathways to Industrialization and Regional Development (London and New York, Routledge, 1992), pp.255-275. Speaker at conference on Man and Work on the Threshold of the Third Millennium, organised by Research Institute of Social Development, Bratislava (Czechoslovakia), 30 January-1 February 1990. "Workfare and labour fragmentation: The threat to occupation", paper for inaugural conference of the European Association of Labour Economists (EALE), Turin (Italy), 8-10 September 1989. "Structural adjustment and labour flexibility in Malaysian manufacturing: Some post-NEP dilemmas", paper for the tenth economic convention of the Malaysian Economic Associationon The Malaysian Economy Beyond 1990, Kuala Lumpur, 7-9 August 1989. "Workfare and labour fragmentation: The threat to occupation", paper for conference on New Citizenship Rights, the Future of the Welfare State and Basic Income, CGIL, Rome, 5-7 April 1989. Published as "The road to workfare: Alternative to welfare or threat to occupation? ", International Labour Review, Vol.129, No.6, 1990, pp.677-691. "Labour market policies for structural adjustment", paper for conference on Structural Adjustment, Manila (Philippines), January 1989. "Labour flexibility and insecurity: An alternative strategy", paper for International Economics Association conference on Markets, Institutions and Cooperation, Labour Relations and Economic Performances, Venice (Italy), October 1988. Published in R. Brunetta and C. Dell’Aringa (eds. ), Labour Relations and Economic Performance (London, Macmillan, 1990), pp.439-468. Panellist at European Claimants' Association congress on 1992 and the Consequences for Social Security in Europe: What Can Claimants Do?, Brussels, 29-30 August 1988. "Decoupling income security from the labour market", paper for CGIL conference, Rome, 17 June 1988. "European unemployment, insecurity and flexibility: News from somewhere", speech to conference on Progression from a Work-Based to a Culture-Based Society?, organised by Green Alternative European Link (GRAEL) of the European Parliament, Brussels, 12-13 November 1987. "The future of labour markets internationally", paper for Asian regional workshop on International Contract Labour, organised by Faculty of Social Science, Chiang Mai University and International Development Research Centre (Canada), Chiang Mai (Thailand), 16-20 November 1987. "Labour slack and insecurity: The need for a new social consensus", paper for the first international conference on Basic Income, Louvain-la-Neuve (Belgium), 4-6 September 1986. Published in proceedings of the conference (Antwerp, Basic Income European Network, 1988), pp.47-64. "Population mobility, industrialisation and government policies", paper for conference organised by the Government of Norway, University of Bergen, 16 October 1986. "Labour circulation and urban labour markets", paper for conference on Spatial Mobility and Urban Change, University of Utrecht (Netherlands), August 1986. "Labour flexibility: Cause or cure for unemployment", Public Lecture No.25, International Institute for Labour Studies, Geneva (Switzerland), 16 June 1986). "Measuring labour slack: A new index", paper for Institute of Employment, University of Warwick, Coventry (UK), April 1986. "Labour surplus and flexibility: A European perspective", paper for conference on Employment Growth, organised by the National Commission for Employment Policy, Washington DC, April 1986. "A social dividend and labour flexibility", paper for European conference on Basic Incomes and the Labour Market, London, June 1985. "Unemployment, underdevelopment and labour processes", paper for international conference on Global Unemployment: A Challenge for Policymakers, Bonn (West Germany), 4-5 December 1984. "Labour supply and state intervention", paper for workshop on Population Growth and Labor Absorption in the Developing World, organised by the Rockefeller Foundation, Bellagio (Italy), July 1984. "Unemployment and the changing division of labour", paper for conference on Mass Unemployment, East Berlin (East Germany), May 1984. "Migration and the labour process", paper for meeting of United Nations Expert Group on Population, Hammamet (Tunisia), 21 March 1983. Published in United Nations, Population Distribution, Migration and Development: Proceedings of the Expert Group, UN Population Studies No.89 (New York, UN, 1984). "Analysing inter-relationships between migration and employment", paper to UN Economic and Social Commission for Asia and the Pacific (ESCAP) Technical Workshop on Migration, Bangkok (Thailand), October 1981. "Migration and proletarianisation", paper for conference organised by Institute of Commonwealth Studies, University of London, January 1981. "State policy and child labour: Accumulation versus legitimation? ", paper for Workshop on Child Labour, Institute of Development Studies, University of Sussex, Brighton (UK), 5-8 January 1981. Published in Development and Change, Vol. 13, No.4, 1982, pp.611‑631.